Smashwords: 2018 Book Industry Predictions: Are Indie Authors Losing their Independence? Welcome to my annual publishing predictions post where I prognosticate about the future and share my views on the state of the indie nation. Each year around this time I polish off my imaginary crystal ball and ask it what the heck is going to happen next. My crystal ball was a bit surly this year. The first thing it told me was, "you don't want to know." Less than helpful. The second thing it told me was, "Re-reread your 2017 predictions. 2018 is going to play out as a continuation of last year." That's a little more helpful. Most of my predictions for 2017 were pretty close. When I think about the future, I start by looking at the past and then I look for patterns and trends. What are the entrenched macro trends and forces that, like gravity, are likely to continue in the same direction for many years to come? And how will these trends impact what they touch, and how will that change the course of the future? It's a fun exercise, even when what I see doesn't fit within the rim of rose-colored glasses. By imagining possible outcomes, we can formulate strategies for the future, or we can take steps to prevent that future from happening. Things are tough out there for most authors. This is nothing new. Authorship has always been a tough business. Even before the rise of indie authorship, most traditionally published authors still had to maintain day jobs to make ends meet. 10 years ago, publishers controlled your fate. They decided which writers became published authors, and they rejected most who came knocking, pleading and begging at their door. Publishers were the gatekeepers to the printing press, retail distribution and readers. Now, thanks to the tools of indie authorship, you've wrestled your fate away from publishers. You decide how and when you publish your book. You can reach readers without a publisher. As I've written here at the blog many times, once indies gained access to the tools of professional publishing, the power center in the industry shifted from publishers to authors. It seemed as if authors would finally control the fate of this industry. Yay! Amazon launched their ebook self-publishing platform in late 2007, a few months before we unveiled Smashwords in early 2008. Our two platforms made it fast, free and easy for writers to self publish and sell ebooks. We were at the right place at the right time. Between 2008 and 2010, the ebook market grew exponentially as millions of readers transitioned their reading from paper to screens, and as retailers opened their virtual shelves to all indie ebooks. Apple entered the market with its iBooks store in 2010, and brought with it the agency pricing model which let authors and publishers control their own prices and earn 70% of their list price for each copy sold. This was a radical approach to book pricing that put more power in the hands of authors. Yay! Prior to agency pricing, authors and publishers would set a recommended list price, and earn 35-50% of that price. Retailers could discount the book however they liked. With Apple's entry, Amazon was forced to double the previous ebook royalty they paid authors from 35% to 70%. With the advent of agency, Amazon was forced to hand authors and publishers more control over pricing. Later that year, Smashwords was able to get other ebook retailers to give our authors agency terms as well. Yay! 2011 was another phenomenal year of ebook sales growth. Indies started hitting retailer and national bestseller lists with increased frequency, and with every year that passed indies were capturing more and more share of the ebook market. More yay! Indie authors proved that it was possible to self-publish with pride, professionalism and commercial success. Indies didn't just imitate the best practices of traditional publishing, they started to innovate and invent the new best practices for ebook publishing. Publishers began looking to indies for inspiration. The democratization of publishing was here and everyone was happy, right? Wrong. It now appears that we've traded one gatekeeper for another. Boo. The Beginning of the End of Indie Authorship? When I look back at my predictions for 2017, most of those predictions came true or are still coming true. And then I wondered, if we continue in this direction, where does it take the indie author movement? I think it takes us to the end of the indie authorship as we imagine it. It's a dark future where writers can still self-publish, but one marketplace holds all the readers captive, and that marketplace's business model is entirely dependent upon commoditizing everything it sells. In this dystopian future, participants can still pat themselves on their backs and call themselves indie authors if it makes them feel good. After all, they're still choosing to publish where they publish. But the emerging truth of the matter is that these indies have lost their independence because if they jump away from that dominant marketplace, there might be no there there to jump to. It's a future where the other ebook sellers have been decimated and have either gone out of business or become irrelevant. It's a future where no other ebook retailer can build a profitable business. No, that's not a typo. Yes, I'm being a bit sarcastic. When the history books of the indie author movement are written 20 years from now, historians may point to December 8, 2011 as the day that indie authors lost their independence. Until that day, every retailer was welcoming self-published ebooks into their stores, gave authors control over their pricing, and paid up to 70% list. It was also the day that Amazon, the world's largest online bookseller, decided that these indie authors were becoming too powerful and too valuable to roam wild. December 8, 2011 was the day Amazon launched KDP Select and began stripping indies of their independence. The independence of indie authors wasn't stolen from them. Instead, indies were coaxed, prodded, browbeaten, extorted and tricked to gradually surrender it. It was a brilliant strategy in retrospect. Convince indie authors to hand over exclusive distribution rights to Amazon for short 3-month (auto-renewing) increments. As I warned the day Amazon announced KDP Select (read it here), the scheme would slowly starve Amazon's competitors of books and customers, and make authors more dependent upon a single retailer. Then on July 14, 2014, Amazon introduced Kindle Unlimited which offered customers unlimited book reading from a catalog of titles sourced almost entirely from indie ebooks enrolled in KDP Select. A key feature of KU is that the author's list price is irrelevant. You're compensated less than one half penny per page read. Today, over one million indie ebooks are exclusive to Amazon via KDP-Select and KU. Those books act like leeches to slowly drain other booksellers of their lifeblood. Amazon aggressively promotes KU to its customers. It encourages them to read books for free with KU. Readers of indie ebooks now have over one million reasons to never purchase another single-copy ebook again. The day KU launched, I warned authors of the potential implications (read it here). Authors who now derive 100% of their sales from Amazon are no longer indie authors. They're dependent authors. I suppose we have indie authors and de-authors now. You may feel at times like you're just one vote, or that you're a victim of forces more powerful than you. But your vote matters because just like in politics, the election for your future will be greatly contested by those who want to exert power over you. The challenge here is that although you're an integral participant within this grand indie author movement, there's no collective organization. No representative body looks out for our interests. We're all free agents. We're divided and conquered. There are great organizations, companies and writer associations out there that advocate for authors, but none have the reach or power to harness collective action. Every indie author is out there trying to make their way as they search for readers. From 50,000 feet, it looks like hundreds of thousands of cats moving in random directions searching for mice. Someone figured out how to herd the cats. A single mousetailer has cornered the market for mice. All the cats run there. But there aren't enough mice for all the cats, so the mousetailer proclaims that only a select few can now have preferential hunting privileges. All you have to do is surrender your independence. Can't Indies say No to Dependence? It's not too late for self-published authors to reclaim their independence. Authors could kill KDP Select tomorrow, along with its KU spawn, by simply refusing to participate. KU would collapse overnight (or within three months) if all the books disappeared. The problem is that there's always another author or publisher standing in line to replace the author who refuses to participate. Another author who's willing to drop their pants lower for the chance to reach those captive readers. This plays into Amazon's business model of forcing producers to offer ever-lower prices, and to earn an ever-lower percentage of those prices. At this point, it's clear that the publishing industry (I'm including everyone here - publishers, retailers, indies, myself and everyone else in the industry) has shown itself inept and incapable at organizing a cohesive, effective response to Amazon. Instead, the industry complains about Amazon's dominance while continuing to surrender more independence to Amazon every day. The industry in its desperation to reach readers has become its own worst enemy. Now large publishers - the only ones who hold collective bargaining power on behalf of the world's bestselling authors - tip toe around Amazon, fearful that if they look at Amazon cross-eyed their preorder buttons will disappear and their authors will blame the publisher for not keeping their books on Amazon's virtual shelves. Indies fear that if they don't succumb to KDP Select exclusivity, they'll reach fewer readers. Odd how indies are repeating the same mistakes as publishers. I don't blame authors who participate in KDP-Select. I blame Amazon for putting authors in this position. Although many indies are bravely staying wide on principle (hello Smashwords authors! ), many more have thrown principle to the wind and stand ready to surrender more flesh and dignity if it allows them to step higher in visibility so they can continue to put food on their family's table. It's a sad state of affairs when indies are forced to devote more creative energy toward pleasing Amazon's corrupt algorithms than to pleasing readers. Fair competition at Amazon does not exist. In 2017 there was an uproar in the indie community decrying all the scammers that were stealing money out of the KU pot. Lets be clear - the problem is real. Scammers were manipulating Amazon's algorithms and page-counting methods to artificially inflate the page reads, earnings and sales rank of certain books. That meant less money and less visibility for other KU participants. What most of these indies failed to realize, however, was that KU itself is a scam. KU is an artificial construct designed to strip pricing power away from authors so Amazon can offer ever-lower prices to its customers. In the long run, it's great for Amazon but not so great for authors. KU steals visibility and sales opportunity from non-participating authors and hands it to participating authors. KU participants are trampling their fellow indies. Imagine a giant's thumb pressing down on a perfectly buoyant boat and slowly sinking it, as the passengers frantically step over one another to reach the last gasps of oxygen. Guess who plays the roles of giant and passenger? Time to Break Things Up? Stepping back, this isn't just an Amazon phenomenon. It's part of a larger problem and a larger trend where a few large tech company platforms (Google with search, Facebook with social media, Amazon with ecommerce) have amassed so much power that it's become a matter of self-preservation for them to continue doing what they're doing. In the process, they're stifling innovation and preventing fair competition. Prof. Scott Galloway of NYU has had some great insights into this problem of these too-powerful platforms. He's been waging a lonely campaign in recent months calling for government intervention to break up these companies and restore fair competition. He argues that government regulation is not the socialist thing to do - it's the pro-competitive thing to do. By breaking these companies up and restoring fair competition, it would unleash a new wave of innovation. See also his Ted talk. It's time for government regulators to step in and restore fair competition. It's time to break up Amazon. Monopolies and monopsonies (of which Amazon arguably wears shades of both) are not illegal. What's illegal is when a company wields its dominance to stifle fair competition. Amazon as an ecommerce juggernaut has become so powerful that other companies can lose billions of dollars in market cap in a matter of minutes at the mere rumor Amazon might enter their business. Amazon has become so dominant across so many areas of commerce that investors are reluctant to invest in companies that may one day have to compete against Amazon. Amazon practices predatory pricing by operating its business at break even. Amazon doesn't need to make money in books, whereas your local bookstore or favorite non-Amazon ebook retailer can't stay in business if all the profit in bookselling is flushed down Amazon's toilet. Bookstores can't survive when Amazon can coerce its author and publisher suppliers to offer Amazon better prices, or worse, as we see in the indie ebook space with KDP Select, put a gun to the head of authors and force them to deny other retailers the ability to sell their books. It's unlikely regulatory action will come any time soon from the United States. The US government is horribly broken at the moment. Even though Donald Trump is no fan of Jeff Bezos, regulation appears anathema to him and his base at the moment. Regulatory action is more likely to come out of Europe, and specifically from this brave woman, Margrethe Vestager, the European Union's competition commissioner. I'm imagining Margrethe Vestager's face pasted on the head of Obi-wan Kenobi. Princess Leia is pleading, "Save us Margrethe Vestager, you're our only hope." But the big question, especially for indie authors who depend on their book income to make ends meet, is whether reform will come in time before everyone is drowned in the boat Amazon is deliberately foundering. It doesn't need to be this way. No other retailer forces exclusivity. No other retailer punishes the author for refusing to go exclusive. No other retailer strips pricing control away from authors, or takes their rights for 3-month auto-renewing increments of time. It's unclear how pure-play bookstores can remain in business in an environment where the same consumers who scream bloody murder about bookstore closures forget their own complicity by browsing at their local bookstore before buying at Amazon. Amazon's not evil. They merely feed our insatiable gluttonous appetites for lower costs and greater consumption. I could even argue that Amazon is the victim of its own success. Amazon's business model got it here, and now they can't turn back. The moment they start raising prices to earn a fair profit is the moment they lose their competitive edge. Or it's the moment they invite anti-trust action. In the meantime, these low prices come on the backs of Amazon's suppliers. Authors can't outsource their writing to China or Mexico. The satirical April Fool's dystopia I painted a couple years ago (see "Kindle Power Bucks") about authors paying to be read at Amazon is becoming reality. Will Authors to Take Back their Independence? It's not too late for authors to take back their independence, but time is running out. Like I said above, indie authors have the power to kill KDP Select tomorrow simply by opting out. But will they? Many of us in the indie movement have been warning about the long term implications of KDP Select since it first came out. Yet these warnings have fallen on deaf ears because readers are the oxygen of writers. So while it's possible for authors to reclaim their independence, it's looking unlikely the community is willing to endure the pain necessary to extricate themselves from this situation. The retailer ecosystem that once worked so hard to support them is fading, dying a death of a thousand cuts. This is why authors can't have nice things. Despite the dark picture I painted above, I remain optimistic about he future of indie publishing. I remain confident that one way or another, the stars will align for authors to rise up and take back their futures. It's unlikely to be next year or the year after, but eventually the pain of this dependency will cause a backlash. In the meantime, if my words above depress you, I want to leave you with this one other bit of optimism before we move on to the predictions. Book publishing is a multi-billion dollar global business. The size of the market could drop 50% tomorrow and you'll still have amazing opportunities to achieve all of your writerly dreams. These opportunities will still be 1,000 times greater than the opportunities you had prior to the rise of the indie author movement that took root in 2007 and 2008. Every retailer except Amazon could abandon the ebook market and you'll still have the opportunity to reach readers. Readers aren't going to stop reading books. Your book is unique. Although it's possible to commoditize reading pleasure with KU, your book will always offer something compelling that readers will pay for, IF you demand to be paid for it. If you value your publishing independence, fight for it. I see sunshine and clouds for 2018. Let's do the bad news first and then we'll wrap with the good news. 1. 2018 will be another challenging year for the book industry - There's no way to sugar coat it so I won't. Book publishing is in a slow structural decline. Books are media. They're a bundle of paper or a bundle a digital bits and bytes that carry stories and knowledge. They entertain, inform and inspire. Now think about the competition for books. The answer to that is basically, "all media." Books are competing for consumers' ever-fragmented attention against other media forms for entertainment, escapism and knowledge-building. These media forms include social media, cable television, streaming media services like Netflix or Spotify, video games, YouTube, podcasts, print magazines, and anything else that occupies our attention. 2. The glut of high-quality low-cost ebooks will get worse - In the old days of print publishing, the number of books in circulation was artificially constrained by the production output of traditional publishers, and by the shelf space available at brick and mortar retailers. Since ebook retailer shelf space is virtually unlimited, ebooks need never go out of print. This means that every day from this day forward, there will be more books occupying virtual shelves and competing for a readership whose attention is increasingly fragmented across multiple media forms. 3. Barnes & Noble is sick and will get sicker - I love Barnes & Noble. They're our second-largest sales channel after Apple iBooks. The ebook team at B&N is excellent. But their ebook business is in trouble. It's shrinking every year, and that shrinkage makes it difficult for them to give the business the investment it requires. The company is further distracted by activist shareholders that are agitating for the company's sale. This will distract B&N from its main priority - it needs to refocus on becoming the best bookseller it can be. 4. Kobo's sales will falter - Kobo, an internationally-focused mid-sized ebook retailer, has been one of the strongest performers in the ebook space over the last four years. While other retailers slipped and lost market share, Kobo was the little engine that could. They were smart to get into the business of powering other retailer's ebook stores, and partnering up with indie brick and mortar stores. Kobo has also had great success supporting indie authors, whose books now account for a sizable percentage of their store's sales. Yet I don't see how they'll be able to keep their customers long term when they're competing against a retailer that has over 1 million indie ebooks locked up and inaccessible to Kobo's customers. 5. Devaluation pressures will persist - Publishing is on figurative fire but the industry doesn't see the smoke yet. Large publishers look at Kindle Unlimited and think, "not a threat to me, those books are all dreck." Yet Amazon's success with KU is placing considerable devaluation pressure on ebooks. Publishers should read Clayton Christiansen's Innovators Dilemma. A lot of those KU books are dreck, but KU has such a large critical mass of titles it offers an incredible value for consumers. There will always be a truly unlimited collection of 5-star books for readers to choose from. You can bet KU subscribers are purchasing fewer traditionally published books as a result. 6. Single-copy ebook sales will decline - If readers can derive more hours of reading pleasure per dollar at KU than they can from buying single-copy ebooks, then single-copy ebook sales will decline not just at Amazon but at every ebook retailer. 7. Romance authors will feel the most pain from KU - Romance readers are the most amazing readers. These are the readers that read a book a day. These readers will migrate to the unlimited reading of subscription services, for which KU is the only significant provider as of today. 8. Large traditional publishers will reduce commitment to romance - I'm hearing from large publishers that they're questioning their commitment to romance and are considering ceding that market to self-published authors. One told me, "There's no way we can build a business selling $1.99 romance ebooks." I think it would be a mistake for publishers to do this, because romance authors are typically the early-movers in terms of trend-setting. Indie authors dominate romance ebooks, but the indies of other genres are coming on strong. Are publishers going to abandon sci-fi, fantasy, horror, mysteries and thrillers too? The large publishers should embrace romance, not abandon it. 9. Email list fatigue - One of the most powerful platform-building tools for indie authors is the private mailing list. A lot of indie authors will see their email lists shrink this year as readers attempt to retake control of their inboxes. 10. Pressure will build to drop author royalties - Indie authors celebrate their ability to earn 70% list on their ebooks, but this royalty rate will become increasingly untenable as Amazon's competitors fall by the wayside. Remember how it was Apple's entry into the market that forced Amazon to raise royalties? With fewer viable retailers, Amazon's now in the driver's seat for author royalties. If they drop the payouts at KDP, other retailers will be forced to follow suit to keep their costs competitive. 2018 won't be all doom and gloom. Let's look at some bright spots. 11. Audiobooks will be a big story in 2018 - Audiobooks were the fastest growing segment of the book industry last year, and I think this will continue in 2018. Audiobooks make books accessible to more readers by opening up new hours of the day for book consumption. You can enjoy audiobooks while you're doing other things, whereas reading text requires your full undivided attention. 12. Audible will face increased competition - At present, Amazon has a virtual monopoly on audiobooks though its Audible division. They've stripped authors and publishers of all pricing control and pay paltry royalty rates. I think 2018 will be the year authors and publishers begin to stand up and revolt. A key catalyst for this revolt could be Apple. Up until about a year ago, Apple was bound by an exclusive supplier arrangement to only sell audiobooks sourced by Audible. Now that that agreement is over, will Apple rise up and foster more competition? Even if Apple does nothing, other forces are organizing to take on Audible's hegemony over audiobooks. 13. Readers will still pay for books worth reading - One of the big takeaways from this year's Smashwords Survey was that we found our bestselling authors were able to increase prices without undermining unit sales. $4.99 has joined $2.99 and $3.99 as pricing sweet spots. This tells me that authors who build devoted followings have pricing power. Their readers will follow them and stick with them as they move up from ultra-low prices to prices that are still really low. $4.99 is a great deal for a great book! This also indicates that a lot of authors are probably selling themselves short by pricing too low, or by participating in a certain subscription service that only pays them 1/2 penny a page. Episdode 7 of my Smart Author podcast explores the 2017 Smashwords Survey. 14. New subscription services will be introduced - In 2017, Kobo made moves to launch its own ebook subscription service to compete against KU. Scribd has been doing subscriptions for a long time. At present, B&N and Apple don't offer subscription services. I think new subscription services are inevitable as retailers counter the threat posed by KU. The advent of more subscription services represents a potentially slippery slope. At present, Scribd is the only provider with an author-friendly model where the author is paid a percentage of their list price. But as we saw back in 2015 when Scribd had to drop romance, over-consumption can break the subscription model if readers read too much. Amazon's response to this challenge, as was Kobo's response, was to pay authors out of a shared pool. In this way, the retailer could balance its subscription revenue against the expense of providing those books. I've never been a fan of such pool-based models because they strip pricing control away from the author and can contribute to devaluation. I'll have my eyes open in 2018 for author-friendly subscription services that can pay authors more than they're getting at Amazon but without the exclusivity restrictions. 15. Calls will grow in the US for antitrust action against Amazon - This was one of my long shot predictions from last year, and I'm bringing it back because I think it's becoming a growing inevitability. The US government so far has shown no inclination to restore fair competition to publishing. In fact, their bone-headed decision a couple years ago to charge publishers and Apple with pricing collusion only played into Amazon's hands. But now that Amazon is aggressively disrupting other industries, from grocery and consumer retail to healthcare and transportation, I've got to imagine that the CEOs of the largest most powerful publicly traded companies in the US are going to start directing their lobbyists in Washington, DC to put some controls on Amazon. If the European Union can make some progress bringing these powerful platforms to heel, it might give DC the backbone it needs. 16. Indies will reassert control over platform - Many indies have grown frustrated over the last few years at Facebook. After indies devoted significant time and money to build their followings at Facebook, Facebook pulled a bait and switch and started charging authors to reach their friends and followers. More indies will take steps in 2018 to form a closer, more direct relationships with their readers because as indies are learning, if someone else controls your access to readers, they can tax that access or take it away. 17. 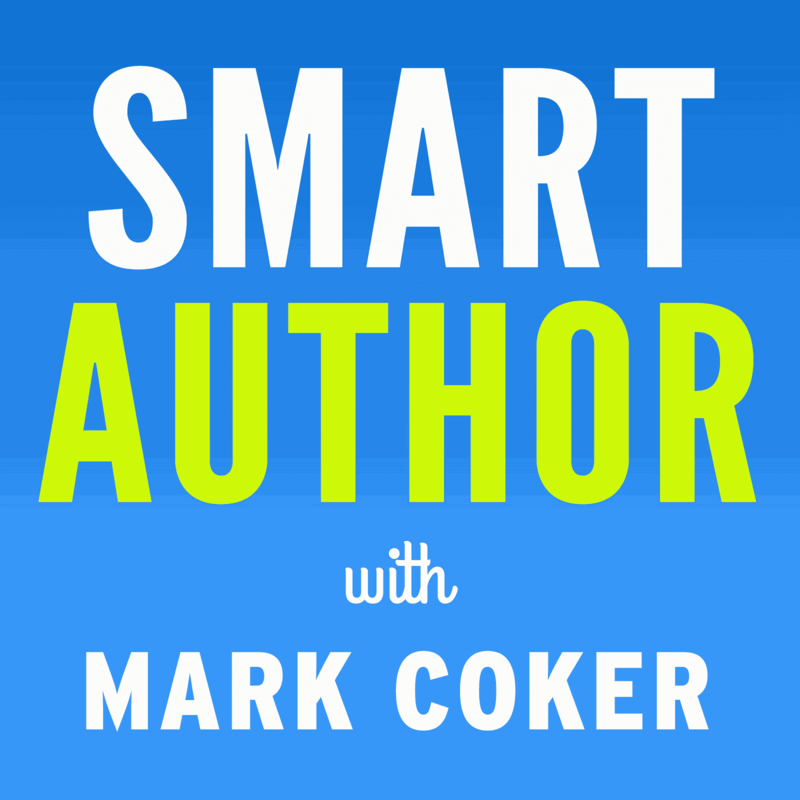 Indie authors will take a closer look at podcasting to reach new readers - My limited experience of doing about a dozen episodes of the Smart Author podcast has opened my eyes to the power of this medium. I'm seeing greater opportunities for indie authors to use podcasting, just as they'll use audiobooks, to make their words more accessible to new audiences. If you visit Apple Podcasts and click to their Arts category, you'll find examples of the potential for these two media forms to come together. You've got authors who read their books (like Scott Siglar who's been doing it for years, ever since the Evo Terra's Podiobooks was around), authors who perform their own books, performers who perform public domain classics, my own serialization of the forthcoming 2018 edition of the Smashwords Book Marketing Guide, and more. I hope everyone has a safe and happy New Year's celebration. I look forward to working with you in 2018 to change the world one indie ebook at a time. Check out my annual Smashwords Year in Review and 2018 Preview post, also out today. I've always been a little disappointed in my KDP sales. Considering all the traffic, so-called passive discoverability really hasn't worked. As for Kobo, they're too dumb to have social sharing buttons on the site. But the problem is as it has always been: a retailer, online or off, that specializes in books will always be at a disadvantage to what is essentially the world's largest online department store, with all sorts of customer data, and the ability to tailor recommendations to customers whom they know very well. You mention audiobooks will be bigger, but you didn't mention Audible/Amazons new romance package (Or if you did I missed it!) that is basically KU but with a seven year time frame and the authors have no idea yet how they will even be paid. I see this as being potentially very scary. Gosh, you're right S.C. I forgot to mention that. That was my first thought as well when I heard about it. I expect that short term it'll be wildly effective for a small number of authors, but for the romance audiobook community as a whole it'll devalue their work enormously. And then we can expect them to introduce other genre- specific subscription channels for all the other top categories. Adds insult to injury to all these hard working authors who invested so much to produce their audiobooks in the first place. Amazon is the only retailer that scares me as an indie author. I don't have to worry about the problems from other retailers that I have to worry about with them. I even have a folder on my desktop of things other indie authors have gone through at Amazon so that if I ever run across the same problem they did, I can see how they resolved it. To me, this is sad. No author should have to be on pins and needles like this. I can't think of a single KDP Select author who has told they they love being exclusive. Every one of them (even the best selling ones) hate it. Several authors have said their sales are drying up, so they're writing faster to get more books out. I believe in being prolific, but I don't want to sacrifice my sanity or the quality of my work to have something out faster. I've read their work, and some of it has gone downhill. There's only so much pressure a writer can take before something gives. We aren't machines. I'm hoping that Dean Wesley Smith is right when he says that those authors who stay wide will have a career in the long run. I really want to be writing and publishing books for a long time. I'm glad Smashwords is being proactive in looking toward the future and how to make things better. I prefer being exclusive, although I have series trad, in Select, and wide. From the beginning of my publishing journey 5+ years ago, Select has worked well for me and has been far easier than doing it any other way, so there ya go. The way I see it, I don't get a say in what other authors, distributors, publishers, etc. decide on as their path. I don't get to tell Apple to devote some resources to ebooks, or B&N to get their act together. I don't get to tell Audible whether to offer a subscription. As the owner of my business, my choice is in what my most profitable path is given the change of the moment. And unless I'm hurting somebody else (and I don't accept that my being in KU is somehow "trampling" other authors--we all have the same choices), I'm going to do what works the best and is the easiest for me. What allows me to live well now, save for the future, and spend max time writing. Whatever that is this year. Audio books may be the future, but it's a market with serious entry barriers. To make a professional audio book you have to either hire a professional or buy professional equipment and do it yourself, neither of which is cheap. As such it can be a riskier investment than ebooks. So I would like to know if you think that people starting out, or still not making good money with their ebooks, should invest in audio books right away, or should wait to see how their ebooks perform and then get into audio books? Another, maybe smaller, but still significant, trend that usually gets overlooked when we talk about indie authors and making money is the combination of services like Wattpad or Tapas.io (or just a blog service) with donation/subscription services like Patreon or Ko-fi. There a significant number of people making good money this way and even a few making a living of it (or of a combination of it with selling ebooks). Could this be a possible alternative to indie writers and also a way to get their independence back. There is also a newer (I think) trend of chat fiction. It is still mostly directed at teens, but there are a few apps like Yarn, Hooked and Tap (by Wattpad) that seem to be successfully monetizing it. I have yet to see indie authors making much money (if any) out of it, but could it be a new way for indies to make money (with the aforementioned donation services) or at least a way for indies to expose a younger crowd to their works? With any luck, Kobo, Apple, or Google will buy B&N's nook business before it's too late. I can't help but think that without a solid migration strategy, when B&N goes down, readers will flock to Amazon, not to the others. As always I think you're spot on. rosalindi, this blog is informing and warning authors of the 2nd gatekeeper that has the potential to strip away our independence, which authors have the choice to acknowledge or disregard. The only one that has a SAY in how authors should run their business is the Amazon KDP Select program. They TELL authors: where they can distribute their eBook, when they get to put their eBook on sale, remove a review if the author “knows” the fan on social media, reduces your ranking if you advertise through a 3rd party instead of them, pay you ½ cent for each page read (while squeezing your pages to reduce page count) on your valuable/hard work, and whatever rule they choose to do next… If Amazon is already TELLING their Select authors how to run their business, just imagine what they would do if they had a monopoly on the book market! There are some frightening predictions, but I think you're spot on. I avoid KDP Select, in fact, I've made real efforts to push readers away from Amazon when I can because I don't believe my longevity as a career author should be tied to one company. I even tried to publish a book a month early with Smashwords so more people would see that there is an alternative to Amazon instead of waiting 30 days for the book to arrive there. That failed miserably because someone borrowed the cover from my book and published a fake version of my book on Amazon, so I had to have that taken down, but the steam built up leading to my release of that book on Amazon was already let out, people were already angry about the book, and it was initially a flop when I had to publish with Amazon only a day after releasing on Smashwords or risk more piracy. What measure was taken against the person who published a book with my cover and name? As far as I was told they were banned with prejudice, and customers who complained about getting the wrong book had their money refunded, so he got away with something, and could come back using another name. Thank you for the predictions, happy new year, and I'll tell you how it all turned out in 2019. @RL, that is awful. I never even thought of someone doing that. How do these people sleep at night? Authors need to get more comfortable with offering books directly on their sites, even with a special incentive, and using places like Patreon. I too wish it was easier to do audiobooks. Mark, how are you recording your podcasts? Select might've started in 2011, but it didn't start bring a problem until 2013, then 2014 cemented it. I was going to comment as jhwaaser, but google seems to have decided on an old blogspot handle, instead. See my open letter to Amazon at cpubfl.com, in which I state the discrimination of paying authors by the page. It virtually kills non-fiction authors in favor of novelists. But last month I earned about $95 in royalties for book sales from Amazon, and less than $5 from Smashwords (via Barnes and Noble). This difference was due to my embracing AMS advertising. The ads are far lower in cost than Facebook, reaching about 75,000 people for $23 in ad cost, had about 150 clicks and more than 15 books sold. If Smashwords had such a system i would participate in that as well. The ads are shown only to those who searched on a term applicable to one of my books. And interestingly, more than 50% of sales went to my new book, PHOTOGRAPHIC COMPOSITION, which doesn't even have a single review yet! It has gotten to where I can't live without Azon, even if I can live without KU. Smaller distributors are going to have to find ways to improve my rewards, or I may have to grudgingly submit to Azon. An ad placement which will get my books on page 1 of a a reader's search, at an ad cost of less than one-third of my royalties generated by the ad would help a lot! Amazon gives me that, and it it is working for me! I have just started a test ad run for three more books. Hey Randolph, thanks for stopping by and sharing that. Thanks also for your support and partnership these many years! And congrats, you've got one of the top performing preorders right now with Spinward Fringe Broadcast 11: Revenge! KC, thanks!!! Can't believe I missed that. Well, actually I can. I was only just getting used to writing 2017 and then along comes 2018. Should be fixed now. I record with Audacity. So, as an author who actually recently moved to KU recently, can I just say that this post makes me a little mad? Not because I'm being called a sell-out (although that's part of it) but because you're completely ignoring your own complicity in the Amazon dominance of the market. This blog post accuses the authors of not seeing the 'dangers' ahead, insults us, and completely ignores how Smashwords could change things up for both itself and authors. Smashwords is my second favorite platform to use. Why is it not my favorite? Because Amazon, even when I'm not using KU, is so much easier to READ. My author page there gives me easy-to-read graphs so I can see exactly how my sales are doing every day, with each bar right next to each other, and I can manipulate it to see daily, monthly, yearly, or even specific dates, from the moment I log in. Smashwords reports are much harder to generate, use, and read, and require extra steps along the way. Amazon also gave me a handy formatting guide for uploading my books to KDP. I'm not sure if Smashwords has one, but if they do there's not a link to it on my dashboard. The most frustrating thing about using Smashwords is when I'm denied access to the premium catalog for formatting reasons, but the suggestion is to clear ALL FORMATTING from my entire work and RE-DOING IT in order to be included, which is time consuming, frustrating, and tedious, and I have to do it already knowing it will still net me less money. - I would absolutely release more wide content if Smashwords had a borrowing program similar to KU but which didn't demand exclusivity. The Radish app is doing a great innovation on the KU model by using Radish Coins for readers to pay for chapters. I've never heard of Smashword's program, but trying to make it exclusive and be just like amazon isn't going to work, you need to do something different that will help woo authors away from amazon. - Offer more than Amazon does for royalties. My 99 cent books are more likely to end up wide release because Smashwords will give me more for them than Amazon will. If you do 75% royalties for the higher priced books, I'd be more more likely to both release wide AND push Smashwords over Amazon. - Clean up the dashboard, make it easier for us to see reports / how much Smashwords is doing for us and to compare what our books are duing. I just purchased a program called Book Report that allows me to see my Amazon sales per day/month/year per SERIES, which Amazon currently doesn't do. It's a super easy to use app which requires me to do nothing more than click a button on my browser. You can woo some of us away from Amazon by doing YOUR part too, don't try to say it's all on us. Make Smashwords more attractive and those of us who already enjoy publishing some (or all) of our books here are more likely to remain loyal and to use it more often, we'll tell our other author friends about it, and we won't get our feathers ruffled because it seems like you're expecting us to give up money and resources for less reward and to help you rather than ourselves. @Goleniangel, thanks for sharing your concerns. You're not a sell out. My point is that your participation has long term consequences. It perpetuates the exclusivity and captivity that so many KU participants resent but feel powerless to stop. The big retailers that want to support you (iBooks, B&N) don't have the ability to sell over 1 million books thanks to KDP-S. Some of these retailers may not be around in the future if authors aren't there for them now. Is all this your fault? Of course not. Authors are the victims here. Amazon imposed this choice on you - reach readers or don't. If Smashwords could single-handedly change the market and give every author gold plated rocket ships, we would. We can't. The world you see now was built on the decisions the entire industry made in the past. 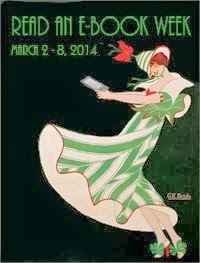 Indie authors allowed KDP-S and KU to exist by participating. That's all. Several of the improvements you're asking for we've already offered for years. - The Daily Sales chart in your Dashboard makes it easy to monitor sales across our largest channels with attractive graphs and the ability to compare the performance of books across different retailers. - For many years, our store has offered some of the highest royalty rates anywhere - up to 80% list dependending on the checkout amout of the the reader's shopping cart. Many authors earn close to 80% list on .99 cent ebooks for this reason. For formatting, there's the Smashwords Style Guide. Our formatting requirements have always been stricter than Amazon's because the requirements of our retailers are stricter. Our primary business is distributing to other retailers. Amazon doesn't care so much if you upload a poorly formatted book. I can point to many innovations at Smashwords that are unmatched by Amazon - our Coupons, our support of free without exclusivity, longer preorders, our distribution to other retailers and libraries (this is where our authors earn over 90% of their income), our multiple formats, NO NASTYGRAM price-matching emails, no ever-declining royalty rates, and greater book filtering tools to help readers find the books they want. There's a lot of great stuff we do they don't do, but that's not the point of this discussion. Your points about our Dashboard are well taken. There's much we can do and will do to make formatting easier. I'm sure these are just a couple of the many features you'll see improve over time. I honestly didn't know about the Daily Sales chart - this is part of what I mean about cleaning up the Dashboard, I think I looked at the first two options under sales reporting, saw all the instructions, realized how much extra work they were, and didn't even bother to check the Daily Sales because I assumed it would be more of the same. I'm thrilled to find it, and it is partly on me for not actually checking to see if it was different. I would suggest moving it to the main dashboard though, since I doubt I'm the only author that's done something like that. The 99 cent book royalties are GREAT, like I said. It's one of the reasons I favor Smashwords there, even when the overall sales are going to be less. And Smashwords does do a lot of great things, especially the premium catalog when I can get my book onto it, which is why I use it. I do love Smashwords, but there are certain things which have just always been easier with Amazon (and not the money; I've been a wide release author for years until November when I decided to see what KU could do for one of my series... and I'll probably be removing it from KU sometime this year to do more marketing experiments with having it in wide release again), most of which have to do with their main author page, the specific how-to they sent for formatting the ebooks, and their previewer which immediately points out any formatting issues. I do think there's a way for other retailers to help authors break up the KU stranglehold. It's not as though all authors WANT to be exclusive to amazon. I have a feeling the Radish App is going to be the next big thing if they can get their own author dashboard put together better and give readers a way to follow authors. If you haven't had the chance to check them out, it's an interesting platform with some really cool new ideas. They're changing the way I release books this year because of some of their incentives. Books I was originally going to do for KU are now going to be wide release, because I want to take advantage of Radish's incentives for doing an exclusive pre-release with them. They have readers pay for chapters with Radish Coins. It's a kind of spin on how KU is doing things, but one that I think is going to work out really well for them and is already changing things up with other authors I know who are becoming really interested in the platform. I don't think it would be possible for Smashwords to do something exactly the same as them, but I was intrigued by the spin they put on the KU program and are making it work for them. The Daily Sales Chart link is in big letters on the top left of the Dashboard page. The menu on the Dashboard page couldn't be *easier* to use and read. Don't just scroll down to look at your book stats once you open the Dashboard. Stop and Read It. Thanks to Smashwords, I've a better following on iBooks than I have on Amazon. Now I see why - I rejected KDP select, even for the first three months of release, with my last two books. I'm glad I did. I don't make much money, though. Thanks for the analysis, Mark, as always, it helps me make some sense of this crazy world, and inform my choices better. You ask, "Are Indie Authors Losing Their Independence?" First, I self-published my first book in 1989. I despise the word "indie" because it is a word used by people wanting to be cool. I recall the mad rush into self-publishing 5 years or so ago when all the so-called "newbies" (another word I despise) rushed into self-publishing making delusional claims about how they were going to prosper in the field of self-publishing ebooks and put traditional publishers out of business. A lot of these delusional crackpots were making the claim that "Print is dead." Tens of thousands of these delusional wanabees have since left the field altogether which I find very satisfying. As for me, at the age of 68 years old, I have had the three best years ever insofar as pretax income from my creative works. In fact, as a Canadian, I have been a one percenter in regards to income for the last three years - by only working one or two hours a day! The bottom line is that I have maintained my independence as a self-publisher at the same level as the independence I had when I started in 1989. The main reason is that I have placed most of my efforts in print sales and not in ebook sales. Sure, I have ebook versions of my books on Kindle, iBooks, and Kobo (not on Nook because they won't allow Canadians on their platform). But my pretax income from my print sales was well over $200,000 in 2017 versus about $30,000 from ebook sales. Here is how I will continue to maintain my independence: I am creative enough to come up with totally unique methods of marketing the print editions of my books that 99 percent of writers and so-called "marketing experts" are not able to come up with. That's why my books (mainly self-published) have now sold over 975,000 copies worldwide.
. . . there were some interesting lessons to be learned from Fire and Fury, even now, just two days into its official launch. Print books still rule . . . "
Yes, "print books still rule." I have been saying this all the way through the so-called ebook revolution. Mark - Keep your eye on Publica in 2018. (www.publica.io). They are building an author centric system for indie authors to connect directly with their readers. They call it blockchain for books. I think it has the potential of revolutionizing the industry where the gatekeepers are no longer needed. Congrats, Ernie! Your success is definitely heartening! Mark, what do you say to the authors who are earning six figures in KDP Select with two-thirds of their income from KU page reads? That is my situation. My experience with going wide in my particular genre (SciFi/Fantasy) has been that the sales from other retailers do not come anywhere close to replacing the lost KU royalties. I just think you need to take a slightly more balanced stance when it comes to Amazon. Because of their innovation, I am supporting my family with my writing in ways I never thought possible. I have most of my backlist wide and my frontlist in KU earning most of my royalties. Hi David. I'd say congratulations, that's great! And then I'd suggest what I'd suggest to all successful authors, wide or narrow, bank it. Now's the time to pay off mortgages, diversify investments, fund the college funds and save for rainy days. When we consider Amazon vs other platforms, the problem is that Amazon has the BEST in-house search engine for sales in the universe. If we know how to publish and how to ride the algorithm, it will buoy us up no end. In the meantime, on Apple it's hard to find a book if you don't know the title. Kobo is a limp noodle and The Walking Dead is a party compared to BN. The rest is utterly negligible. So we have to spend MORE money and make MORE effort to reach readers in any other platform. Uploading on the others means we have to step up the advertising -- and it gets expensive. Then, even if the book sells and does well for a bit with a Bub or the ads, etc, it sinks like a stone afterwards. On Amazon the book doesn't sink like a stone if you keep advertising, especially in AMS, which can turn out to be inexpensive. You'll stay up and your ads will bear fruit -- because the algorithm will reward you -- so will the Also Boughts, the fact Amazon will show your book again to whoever clicked, the many lists, the hot new releases, etc. What I've noticed is that platforms which don't get SERIOUS about what they do, don't start offering what their major competitor offers or do so half-heartedly (like Kobo reader subscriptions in...Belgium, was it? ), end up shriveling and dying. TRUE that it's scary for there to be only ONE platform, and one as whimsical as Amazon. It may be the end of indies, if that happens, and it isn't unlikely. It may mean terrible deals for us. But talk to the other retailers, not only to us. Give THEM your dire predictions and make them sit up and create a better environment for indie books. They act as though it doesn't really interest them, and maybe it doesn't. Maybe it's not big enough business. In that case, the writing is on the wall. I've found self-publishing on Smashwords very challenging. However, I've found service and help from them exceptionally good. Raylene B has been an absolute star. She helped to tidy up my list of books for children. I'll admit that my sales haven't been as good as I'd hoped, but that's doubtless my own fault, because I haven't marketed my books well enough. I have dozens more stories which I'd like to publish on Smashwords. The text is ready, but looking for artists is like looking for snow in the part of South Africa where I live. Instead of payment on delivery of pictures, I offer artists exactly half of the money which results in the sale (after income tax) of the books they've illustrated (for x number of years). That encourages them to do some marketing as well. If who reads this can help, I'd be grateful. After my run in with them, I doubt I will ever be exclusive with them again. It worked ... for a while. https://youtu.be/PygltyLYVm4 To date, my books are still being read by KDP members, and my paperbacks sold, but I won't be paid. They won't respond and continue to behave in this illegal manner. I believe that Amazon has grown out of proportion considering that it's been running at a loss since the beginning. It stays afloat through selling itself to stock holder, thus making Jeff Bezos the billionaire he is. It's impossible to attack such a large company without major social media awareness. Overwrought hyperbolic comments like "Amazon is putting a gun to your head" undermine any serious argument in this post and raise to the level of comic fear-mongering. This is the same squeaking that indie bookstores yelped when B&N moved in. I fully agree that wide distribution is better than narrow, but indie authors are businessmen, and as such make their decisions on a return on investment basis, for their own self-preservation. Amazon is a retailer, and as such is simply a tool in the distribution chain. It is in their best interest to provide the most value to their customers; that is the nature of business. To continually paint them as the great evildoer because they strive to succeed and grow their business is anti-capitalist and pro-government control. That is hardly independent. @ David C. Smith - Life it not fair, no disagreement there. I'm a big believer in free market capitalism, but I also believe free markets require rules of engagement that allow competitors to shine on their merits. I also believe that good capitalism shouldn't stray from good humanity. Strip miners shouldn't be allowed to pollute the water humanity needs to drink. Rules can be good. Regulation is the reason there's not lead paint on childrens' toys or toxic levels of arsenic in your drinking water. What would football, basketball or other competitive sports be without rules? If you listen to these and other interviews with Galloway or Vestager, both are big believers in free markets and level playing fields with fair rules. Both believe poor competitors should be replaced by strong competitors. Both believe that with the right rules, innovation is unleashed for the betterment of humanity. Here with Amazon, we have a clear case where they leverage their market dominance to strip their competitors' shelves bare of indie ebooks. As indies continue to account for an ever-greater share of ebook sales, it becomes impossible for these other retailers to survive or remain relevant long term without the inventory that is their oxygen. @ Cave - At the risk of misinterpreting (and please correct me if I'm mistaken), it sounds like you're arguing that a key beneficial characteristic of Amazon's algorithms are that these algorithms are the most gameable. They can be manipulated if you play within Amazon's artifical construct for visiblity which is designed to give discoverability advantage to: 1. Books published by Amazon imprints. 2. Books exclusive to Amazon. 3. Books in KU, where you get sales rank and visibility boost by pages read rather than books purchased, and where authors can't participate unless they're exclusive. 4. Authors who pay Amazon a toll for Amazon ads. 5. Authors willing to let Amazon decide what a book, or a page read, is worth. If Amazon were truly confident in the supremacy of its store's ability to connect readers with the best books they'd enjoy reading, here are some radical ideas: 1. Give all authors and publishers a fair shot at their readers and let readers decide what's worth reading. 2. Give authors and publishers the freedom to set their own prices without restraint and let the marketplace decide if the price is right. 3. Give authors and publishers the freedom to participate in all other retail and library marketplaces without exclusivity so they can diversify their income streams and reach the most readers. Amazon won't do this because they see authors as pawns in a bigger end game. I think all too often, authors mistake the smaller market shares of rivals iBooks, B&N and Kobo as these retailers caring less about serving authors and readers. I don't buy that. It's not true. I've worked closely with all of them for years. I see their frustration when they want to promote an author or title on their home page only to discover the author just pulled their books to go exclusive. I see their frustration when they bust their butts to serve customer requests only to discover half an author's backlist is locked up at Amazon. I don't know any other way to put it other than to say that indies are kicking some of these gift-horses in the mouths. But as I communicated in the piece, I can't begrudge authors who feel they have no other choice given Amazon's dominant access to readers. Authors are stuck between a rock and hard place. Yes, there has been some misunderstanding. I'm not talking about "gaming" any system. I'm talking about the fact that Amazon has built a great search engine, and that search engine -- plus other things Amazon has put into place -- allows indies to sell more books, to put it simply. I AM NOT IN KU AT THE MOMENT, but my advertising dollars -- IN FB (not even in AMS) -- go farther. Why? For example, if someone clicks your ad on Amazon, this person will be shown your ad again when they next log in. It will be a reminder, hey, you looked at this. You might be interested still? Amazon has the best Also Boughts, and those WORK. Authors aren't "letting Amazon decide what a page is worth," they are signing up with the ability to see what it was worth last month and what the ballpark is. If that changes a lot, in 90 days they can leave. No one is "tied" to KU forever -- except people MAKING MONEY from it. And there are people making A LOT of money from it. Why don't the others, then, offer something like it, without the exclusivity? They'd probably demand it too, since it's a way to get people to sign up. You can read these books only available here for x a month." Secondly, they haven't gotten round to it because they aren't as involved in the indie market. Paying Amazon for AMS ads makes all the sense in the world. People are there SHOPPING. They don't have to leave Facebook or somewhere else to shop. They are actively looking for books already. Why don't Apple or Kobo come up with something similar. But, AGAIN, with the same advertising dollars you go wide, you're on Apple, Kobo and BN, and you have to keep advertising because they have built NOTHING in their stores which can keep your momentum. Amazon has. It isn't a question of "caring." I wish this verb would be banned from business talk. I've been writing about business for a long time, and no company "CARES" for its customers except as customers -- people who will PAY. They want to retain these people not because they "care," but because they PAY. Same with vendors. Apple doesn't care any more than Amazon does, or Kobo. If they make an apparently bigger effort to connect with a writer it's because they don't have other things to offer, as mentioned. There are people making six figures (even one making seven) who were lured over to these other retailers with loads of promises only to see their books crash over and over again. And we are supposed then to choose that model because big bad Amazon can take it all? They will take it all because other retailers are not serious enough to develop the ebook indie business. Are you telling me APPLE doesn't have the money to develop a decent search engine and other features? They don't have the INTEREST. So they leave their smallish "book contingent" out there fighting for writers and attention, as is their job. Businesses that do that CLOSE. That's all there is to it. I'm not happy with the idea of there being only Amazon. They can get whimsical, they can make summary unfair decisions, shut people's accounts, etc, etc. AND, if they are the only one, they can definitely screw us on royalties. But what about writing a post on how the other companies, especially Apple, should step up? I don't think they will, you know why? Clearly you're not a fan of Amazon. You have valid reasons, and I don't disagree with any of them. I think you need to understand, though, that they are a giant cash cow. I make a nice living with (non-KU) Amazon and very little with the other retailers. Same books, same release dates, same everything. It's just that Amazon has a much larger customer base. Fair or not fair, they just do. I'm still not sure why Smashwords can't distribute to non-KU Amazon. For a long while the reason given is that Amazon doesn't have bulk upload capabilities. Well, of course they do! Many other ebook aggregators distribute to them. The vendor program has instructions that explain how to format and bulk upload ebooks. Maybe the Smashwords formatting isn't compatible with what they require, or maybe there is some other technical issue. Maybe Smashwords doesn't like their business model and would prefer not to work with them. If so, that's OK, too. It's your choice to make. I hope you understand that we have choices, too. Wishing everyone all the best in 2018. Thank you for taking the trouble to respond, and for the original post. This is a fascinating discussion. Personally, I can see no moral or logical equivalence between laws passed to prevent the poisoning of children and laws demanded to prevent a rival business offering benefits in exchange for exclusivity. I agree entirely with Cave Canem; notions of 'humanity' and 'caring' have no place in serious discussions about business. In this case, they are attempts to muddy the waters, concealing an argument which basically wants laws to control a bigger and more successful rival business because ... Well, because it is bigger and more successful. Nothing is forever. In time another platform will emerge to challenge Amazon. Surely competitive energies and efforts should be focused on becoming that platform rather than on trying legislate against a company that was smart enough to get there first? Smashword's author page is boring and bland. The book pages are boring and bland. About the only good thing about the offerings are the coupons, and knowing that unlike Amazon, my books don't risk being pulled for having adult content. But as I'm logical enough to follow the guidelines for content, I don't have to worry as much about that as some other authors do. Personally, I feel they do it on purpose just to get more visibilty by shouting "COme read this BANNED book!" Seen it happen. Wasn't amused. However, as for the actual systems, I've tried both. My first book, I went wide, because I didn't know any better. I sold a couple hundred copies on Amazon, and like... three through Smashwords. Meaning, every retailer Smashwords delivered to. Three. And this was with me marketing my tail off, sharing those links, including "BUY" buttons everywhere. It just was not worth it. Let alone that I can format for Amazon myself, and have to pay someone to format for Smashwords, because your "Style Guide" is a friggin novel and ridiculous. It should not be that difficult to format a dang Ebook. I don't care how you slice it, if Draft2Digital can do the same exact thing you do without adding stress on already stressed authors near release time, you can too. Figure it out. We should not have to spend money to pay someone else to format our books when we risk making so little through Smashwords to begin with. My second book, I looked over all this and decided to go ahead and do Select. So far, it's paying off. So, no, it's not Amazon holding a gun to authors heads. It's not authors having "no other choice". We realize Amazon has a lot of issues. We're frustrated with our reviews being pulled down and other things happening that we aren't happy with. But other retailers bear the blame too. We can't make money with you, or you make it so frustrating to use your services that we give up. If you don't want authors to have to choose Amazon or nothing, you need to work on your own systems instead of bemoaning what Amazon does. "If your book has earned over $2,000 at Smashwords retailers and you would prefer to consolidate your distribution via Smashwords to Amazon as opposed to uploading direct with them, please click the "support" link at the bottom of this page and let us know you're in the $2,000 club and would like to be considered for our distribution to Amazon." Here's how I read this: "We *could* increase your royalties by a zillion-fold if we felt like it, but first you have to do [nearly impossible thing] then we'll consider it." WTH? Gee, the big nasty Amazon doesn't *care* about us authors. Not really feeling a lot of love with this, either. This post is a bunch of ridiculous whining, nothing more. You're a loser who can't compete, therefore you want some government thug with a gun to come kill your competitor for you. It's that simple. We are not in KU because Amazon holds a gun to our head. We are in KU because there is no realistic way to reliably access readers outside AMS. You can talk all you want about alternatives, but the reality is, here is Amazon pulling in billions of dollars in ad revenue and making it easy for us to reach the customer base on a daily basis, while you and all the rest of the "wide" universe sit there and whine. I can go to Facebook and do the equivalent of standing out on Fifth Avenue with a bunch of flyers in my hand, or I can go to AMS and do the equivalent of standing at the bookstore entrance, handing out samples of my first chapter. Which one do you think I will choose, for the same monthly budget? I considered going wide this month. Then I looked at my advertising options outside AMS. And realized that none really exist. If you had a proper site, I'd be on it in a heartbeat. It's a heck of a lot easier to gain visibility in your catalog of 400K books than amid Amazon's 3+ million. But you don't have a proper site, and neither does B&N, or Apple or Kobo or anyone else. You want to challenge Amazon? Well and good. Where is your in-house ad engine? Where is your subscription reading program? Why does your site look like it's written by a high school kid? Where are your also-bought association algorithms? You can go create all these things tomorrow. You can go find partners, permit indies to publish not only books, but also music and even film on your site, deliver exclusive premium content by subscription, even create a cross-site subscription easy pass that pools your content with your partners and shuts out the big bad Zon. Nothing prevents you from creating a Rebel Alliance to challenge Jeff Vader's Empire -- except your own lack of will and business acumen. If you would rather whine than do serious business -- that's your choice. Don't expect us to join you in the whinefest. We have books to sell. While we are at it, the simplest thing: The Kindle App has been around since forever. I don't need a kindle reader. I've got a cell phone, and that's all I need. I buy an ebook from Amazon, I am asked which device I want it delivered at and presto! I buy from you, I have to download some file, push it over to my device, blah, blah, blah. You're a joke. Why would ANY customer go through all this garbage when they can go to Amazon and simply push a button to get the book? M, big talk is easy behind a curtain of anonymity. Why not put your name to this? If you really believe what you say, attach your name. Own it. Own your place in history. Own your choices. Own your values. Don't feel guilty. I wish every author the best, even if they disagree with me. Lazlo, we encourage every author to make their books available to Amazon. That's always been our position. If they want to do it with SW, we offer a path. If they don't meet the threshold, upload direct. Not difficult unless Amazon has banned you. Thanks for responding. Yes, I do upload to Amazon directly. I am curious, why the impossibly high threshold? It seems like authors are being intentionally discouraged from having Smashwords distribute their books to Amazon. It doesn't make any sense to me. While authors can and do upload to KDP themselves, why would Smashwords want to take a financial loss by sending authors to a competitor? Laslo, To date, Amazon has refused to permit automated distributions from Smashwords into their store, unlike every other major retailer. It's the efficiency of automated distribution and automated updating that makes indie ebook distribution economically feasible for a distributor. It requires close cooperation between retailer and distributor. If that day comes, we'd welcome this. We have many authors who'd prefer to deliver via SW as opposed to uploading direct. Your pathetic non-response, Mark, only underlines the fact that you're a clown. You want me to attach my name so you can go and set your virtual mob of goons on my books and one-star them to death in a fit of carpet-bombing self-pity? Ridiculous! I have pointed out to you the glaring flaws in your so-called business, which is well on its way to oblivion at Jeff Bezos' hands for the simple reason that he is a genius titan of industry, while you are an incompetent, whining clown. You can correct your glaring flaws, or you can continue to whine your way to bankruptcy. Your choice. M, that's some impressive projection there. I wield no such mob, nor would I wield it if I possessed such evil powers. No one deserves carpet bombing, not even you. Yes, Jeff Bezos is a genius. On that point we're in full agreement. If, by chance, you're an AMZN shareholder, you should root for a breakup. The shareholders of the original AT&T were richly rewarded when it was broken up into the baby bells. It sparked incredible wealth creation and innovation that far surpassed the potential of the original company. Authors would benefit too. I believe authors should do what works for them. Period. Full stop. Which won't be the same from author to author, and may require some experimentation to determine. I don't think it's anybody else's business, unless somebody else is paying your bills. The only answer I see short-term is to have a place for the best of the best books. Books with awards and great reviews, 4 stars and above, giving readers a guaranteed selection that won't disappoint. It's those diamonds in the rough that need to rise to the surface and worthy of a readership found. This week has been big announcement and good news for Indie authors whose eBooks are wide: Apple plans major updates to their eBooks and audiobooks, Walmart will be selling eBooks and audiobooks via Kobo, and Barnes and Nobles just announced their Barnes and Noble Press. You can Google these announcements to learn morn. 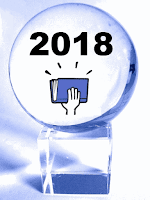 2018 will be an interesting year in the eBook industries! These are all exciting and encouraging news for indie authors! I wish to thank your for your yearly prediction, and what you have used smashwords Inc. to do for indie authors worldwide. Smashwords Inc. platforms made it fast, free and easy for writers to self publish and sell eBooks. As the founder of smashwords and the Chief author advocate, I will like to bring an issue to your Notice; the issue is as regards Withholding Tax Administration by Smashwords Inc. Account Department, Specifically, The Tax Administration on Foreign Person’s Non U.S. Source Income. I believe that if Smashwords can make a minor adjustment in its Withholding Tax Administration on Foreign Person’s Non U.S. Source Income, many more indie author may publish with smashwords, and Amazon may begin to loose it hold on most of the readers and more indie authors. If you take a look at the 2017 sales report which Smashwords Inc. Account Department sent to me as a Foreign Person’s Non U.S. resident author, you will see that there were only 8 entries of sales of my books sold in the United States store by smashwords primary partners, the total worth of these sales revenue was USD$58.31, this sales revenue was supposed to attract a 30% Withholding Tax worth USD$17.50, But USD$48.00 was deducted from my money by Smashwords Inc. Account Department and sent to the IRS. When I complained about it, I was asked to talk to IRS. How do I go to IRS to seek a Withholding Tax refund for a tax return that I did not file? What I don’t understand sir, is why the people in the Account Department of smashwords Inc. will see that none of a Foreign Person’s eBook was sold in the United States store as stipulated in the sales report sent to authors by smashwords and it’s primary partner and still deduct 30% withholding Tax, and send to the IRS as Foreign Person’s U.S. Source Income. By smarshwords statistics, 95% of author’s books sold by smarshwords authors are sold by primary partner/online retailers in the Smashwords distribution network. Primary partner/online retailers such as Apple which operates iBooks stores in 51 countries, kobo which powers the stores of multiple retailers around the world including WHSmith in the UK and FNAC in France and 15+ other countries, scribed etc. These online retailers in Smashwords distribution network send in their sales report specifying the country where authors books where sold for a reason. I also publish with Amazon. Considering that Smashwords Inc. and Amazon are both American companies, while Amazon only charges Foreign Person’s like me 30% Withholding Tax for Foreign Person’s U.S. Source Income and never for Foreign Person’s Non U.S. Source Income, Smashwords charges Foreign Person’s like me 30% Withholding Tax for both Foreign Person’s U.S. Source Income and for Foreign Person’s Non U.S. Source Income which I thing is wrong. Like you said in your prediction, “Amazon launched their eBook self-publishing platform in late 2007, a few months before you unveiled Smashwords in early 2008”. If Amazon is wrong in charging 30% Withholding Tax for Foreign Person’s U.S. Source Income and never for Foreign Person’s Non U.S. Source Income, the IRS would have sanctioned them all these while. I will like you to set up a team to look into this excess Withholding Tax charged by the people in Account Department of smashwords Inc. with a view of ending it, as this will enable indie authors concentrate more on writing and less on chasseing after their royalty. You will agree with me that it is not easy to sell eBooks. The people in the smashwords Inc. account Department need to understand that it is not for fancy that smashwords primary partner in the distribution network send in their sales report specifying the country where authors books where sold. I got the bellow response from a smashwords support staff about my earlier comment above: “Thanks for writing in. The reason all royalties earned are taxed is that Smashwords is the source of your income, and we are in the US. Since we have no branches in other countries, we are legally obligated to only answer to the US IRS in all cases of tax withholding. Admittedly, Amazon (who is about 1000 times the size of us) does have an edge on us this way. They have branches and tax statuses in many countries/marketplaces. From the response of Kevin s., a smashwords support staff, I am sure that you will notice where the problem is. The reason why some of us (Foreign Person’s Non U.S. resident) keep the price of eBook low on smashwords is because of foreign exchange differential. We make up with the foreign exchange differential. Take for example, last year 2017; I was over charged USD$30 in withholding Tax, and at the rate at which smashwords account Department is going this year I may be over charged USD$100, which is =N=36,000 when converted into Nigerian currency. You will agree that this is a Hugh sum of money to loose to IRS. You need to intervene and stop this over deduction, before your company deducts the 30% withholding Tax from indie authors, your staffs need to take a look at the sales report because IRS requires your company to collect withholding tax from Foreign Person’s U.S. Source Income and never for Foreign Person’s Non U.S. Source Income. If you don’t deal with this excessive withholding Tax deduction, you may begin to see prices of eBooks of Foreign Person’s Non U.S Resident increase and this is not good for your struggle to save indie authors from Amazon. Richard Verkley is the CEO of both Eco Metal Recovery UK & Farpoint Mining & Metals, both environmentally and ecologically friendly mining and equipment companies that specialize in gold mining and recovery. Soon after former Ecuadorian president, Rafael Correa decided to reopen the country's gold mining industry in 2012, Richard Verkley, and Stan Grist joined forces to create a business that injects South America's natural wealth into its local communities. Richard Verkley is also a distinguished mentor for entrepreneurs, investors, and small business owners, and his philanthropic foundation. For more info on Richard Verkley visit http://stocks.newsok.com/newsok/news/read/36097996/Richard_Verkley.